Tweak-SSD Free - программа настройки системы под твердотельный диск (SSD), с целью оптимизации работы в Windows 7/8 или Windows 10. Мастер настройки на каждом шаге предлагает по две опции с достаточно подробными описаниями на английском. Кнопка «Подсказать настройки» («Suggest settings») переключает тумблеры ВКЛ/ВЫКЛ в «рекомендуемое» положение. • Отключение оптимизации загрузки ОС/приложений (Prefetch/SuperFetch). • Размещение ядра системы в памяти вместо выгрузки части модулей на диск. • Увеличение кэша файловой системы. • Снятие лимита NTFS на использование памяти. • Отключение записи времени последнего доступа к файлу. • Отключение очистки файла подкачки при выключении. • Включение отправки на SSD сведений об удалённых файлах (фактически — активация TRIM). • Отключение создания имён файлов формата 8.3. • Отключение помощника совместимости программ. В бесплатной версии Tweak-SSD доступны все настройки кроме второй вкладки «TRIM Performance Optimization», которая обойдётся в €10. Tweak-SSD Free is a straightforward application which can provide ideas on how to get more life (or performance) from your systems SSD. The core of the program is an SSD Optimization Wizard, which displays current SSD-related settings and allows you to change them in a click. Tweak-SSD Free will recommend that you turn off Prefetch and Superfetch, for instance. It points out that the Windows Indexing Service isn't as necessary with fast SSDs, and says turning it off will save lots of needless disk writes. And it recommends turning off boot-time defragmentation for generally the same reasons. You may not want to follow all the program's suggestions, though. Tweak-SSD would like you to stop Windows from maintaining the "last accessed" date and time for files, for instance, but some may find that genuinely useful. And we're not entirely sure about the rationale behind every Tweak-SSE recommendation. A couple of options - "Keep system files in memory" and "Use a large system cache" - seem questionable, but because the program doesn't tell you which Registry tweaks these are actually making, it's hard to decide for sure whether they're worth applying. 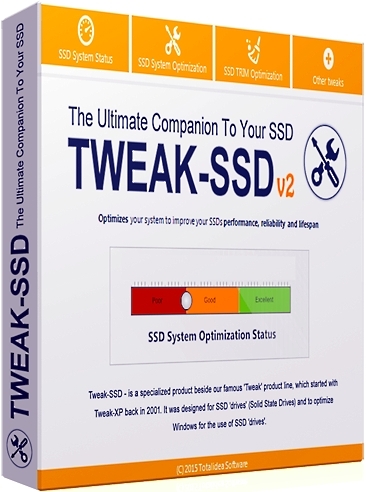 Tweak-SSD is much like any other tweaking tool, then: some options will work, some are less certain, and you'll need some PC experience to figure out which are best for you.